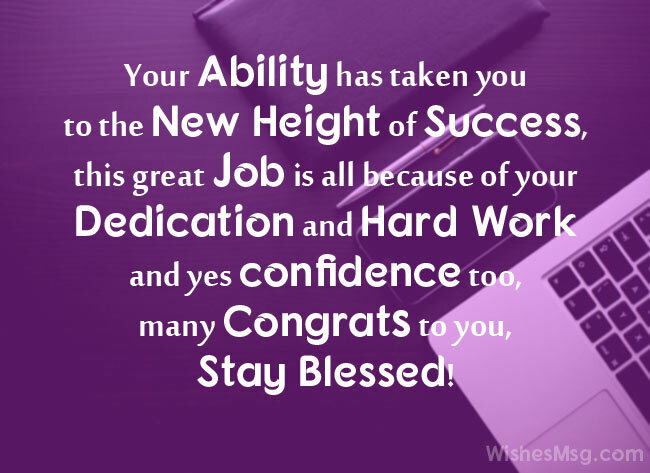 Best wishes for new job will make the way easy for you to congratulate your friends, co-workers, boss, boyfriend or husband, wife or girlfriend and any other of your family member or relative who get a new job. 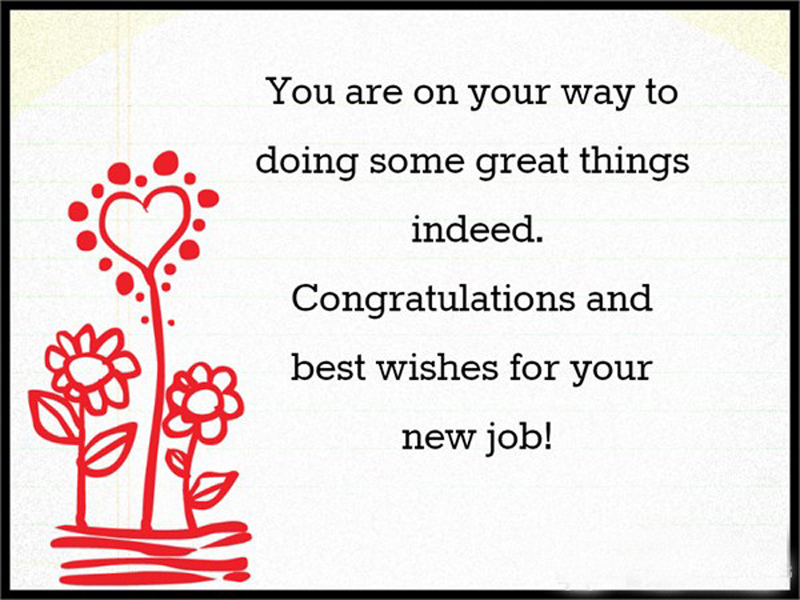 You should wish them by congratulations messages for new job cause they are going to start a new beginning in their life. If you send greetings or best wishes for new job to your beloved one surely they will get inspiration and encouragement. 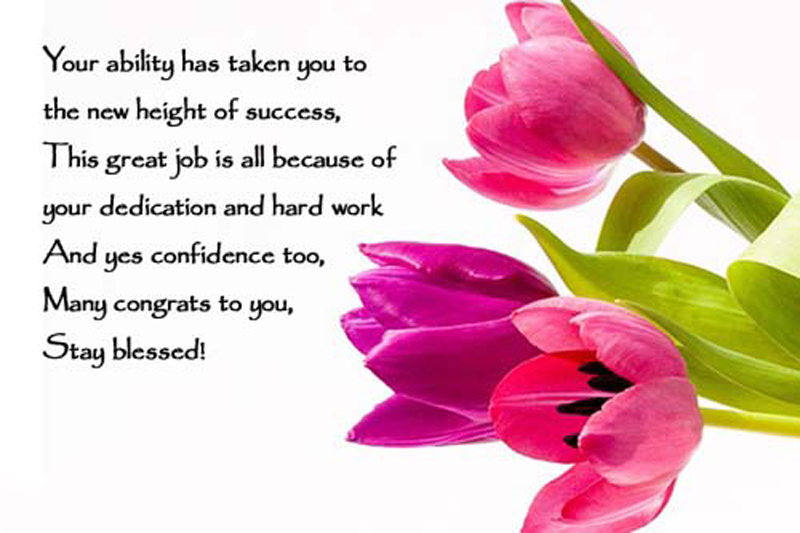 So, take a look through our compilation of best wishes for new job with latest congratulations messages for new job. People so persistent, dedicated, strong, resilient and determined like you, Do not need to be wished good luck, cause they always make their own luck wherever they are going to. On the first day of your new job, you won’t just be opening a door to your new office. You will be opening the door to life’s new opportunities. Congratulations. Life has given you new challenges and new opportunities… it is time to surge ahead, leave behind the slackers and the dummies. Go for it. A new job is not just an outlet for your creativity, it is a chance for you to chart out your future and shape your destiny. Congratulations. You can never predict how your new job will turn out to be, but you can always work hard to make sure you get what is in your destiny. Congratulations. When you have faith, ambition, hard work, persistence, flexibility, determination and courage, good luck will be by your side always. Congratulations on the new job procurement. If you know someone who has got a new job, send your best wishes writing on a sweet note, Cute congratulatory texts, funny tweets or Facebook posts to let them know that you wish nothing but the best for them.